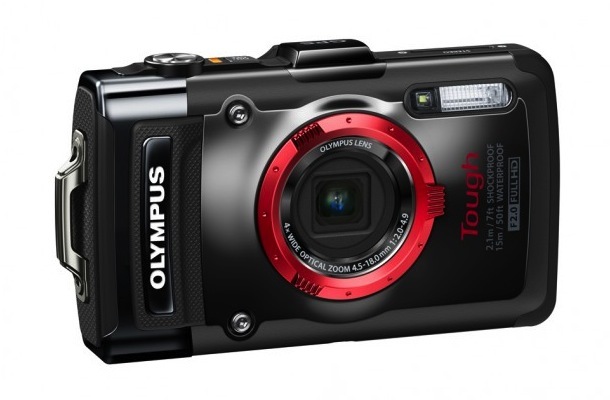 Olympus announced their new flagship Tough series camera, the STYLUS Tough TG-2 iHS, which is waterproof up to 50 feet, 10 feet deeper than its predecessor, the Olympus TOUGH TG-1 iHS. The new TG-2 also withstands the rigors of other extreme conditions with its advanced ruggedized body construction that is shockproof up to 6.6 feet, freezeproof to 14°F, crushproof to a weight of 220 pounds and dustproof. This TG-2 iHS delivers brilliant images courtesy of its high-sensitivity, high-speed 12-megapixel backlit CMOS sensor combined with a blazing fast, TruePic VI image processor. The iHS family of technologies unite for unmatched image quality in challenging shooting conditions with improved lighting, and providing less noise and response times. 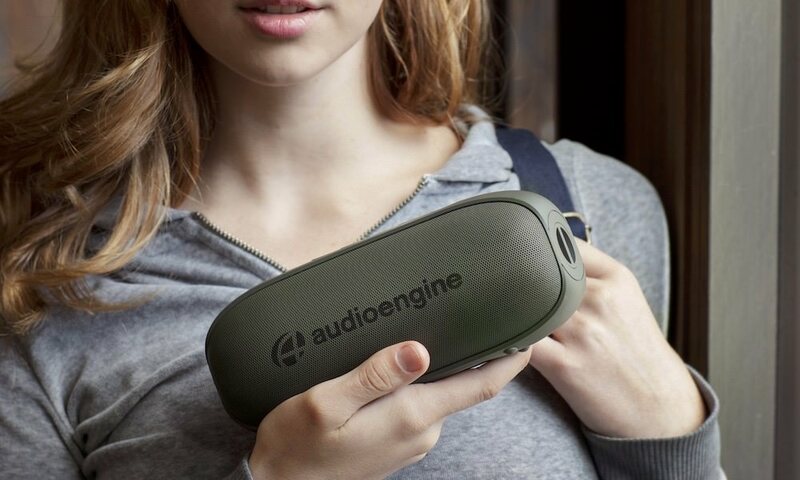 The new Microscopic Macro function boosts zoom magnification from 4x to 14x with no noticeable loss of image quality from one centimeter away for true macro results. When the doubly powerful Super Resolution zoom is used, aspects of the natural world usually invisible to the naked eye, such as veins on a leaf and the details of an insect’s eye, are revealed. High-speed autofocus, enhanced Intelligent Auto for spectacular scene and subject recognition, and 8x Super-resolution zoom (4x optical zoom) produce incredible images in any location. The STYLUS TOUGH TG-2 iHS lens adapter converter ring expands system capability by enabling the addition of a waterproof Fisheye Converter Lens or Teleconverter Lens for use on land or under water. With five frames-per-second, high-speed burst shooting or 60 frames-per-second at 3-megapixel resolution, Movie enthusiasts can shoot 1080p Full HD videos (1920×1080 pixels) while Multi-Motion Movie Image Stabilization compensates for movement during recording to create smoother videos. An ultra-bright f2.0 lens with converter-lens system compatibility, and iHS technology shoots brilliant images and incredible 1080p Full HD Video in the most extreme conditions. The 1:2.0-4.9 wide-aperture high-speed lens enables the user to capture dramatic shots with low depth of field or reduced blur in low light. The Manual aperture priority mode allows the user to set the aperture to give pictures different expressions, or for professional-looking effects like background blur. Two bundled lens rings, one in red and one in black, and a premium wrist strap customize the camera’s look. The Olympus PT-053 underwater housing takes the STYLUS TOUGH TG-2 iHS down to depths of 135 feet (45m). 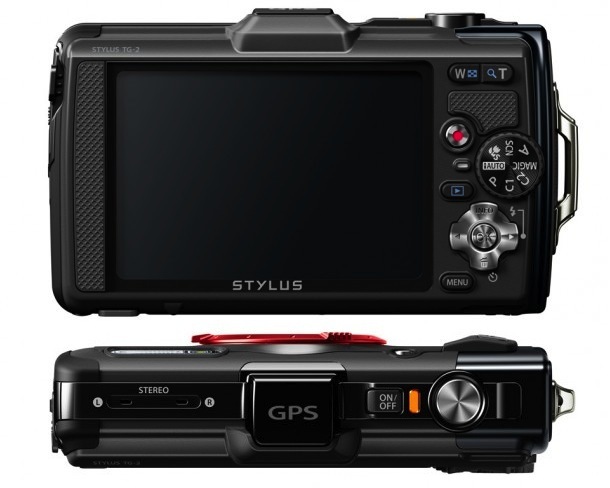 The Olympus STYLUS TOUGH TG-2 iHS will be available in March 2013 for $379.99 in black or red.